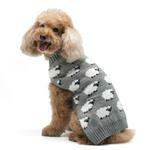 The Sheep Dog Sweater by Dogo - Gray is a cute and warm sweater that any pup can enjoy! 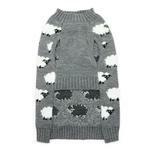 The adorable Sheep Dog Sweater by Dogo - Gray will have heads turning whether at a sleepover or on a walk! The leash hole on the back makes easy leash attachment/detachment. 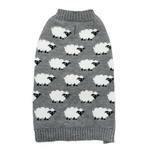 The knit material will keep your pup warm and the sheep design will keep the attention on them! Sheep Dog Sweater by Dogo - Gray Customer Photos - Send us your photo! 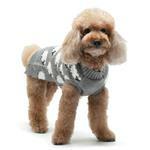 Norman loves to look sharp in a nice sweater! She is 4 lbs of pure excitement. 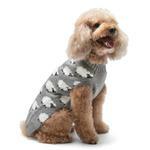 She's adorable without her sweater, but even more adorable with it! Love this website! I always find what I am looking for! I have never had a bad experience ordering from BaxterBoo and I would recommend this website to anyone!